Grand Valley dropped a close game to the visiting Lordstown Red Devils 6-5. Alexis Cooper led the Mustangs with three hits in the game. Izzy Scarberry, Emma Sullivan and Emily Eland each had two hits. The Mustangs bounced back for a 5-1 win over the Newbury Black Nights. 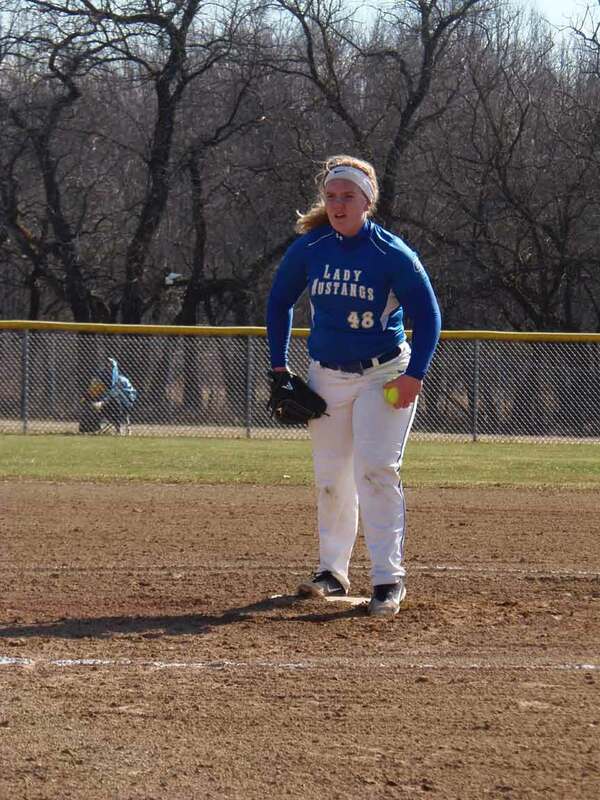 Madison Takacs pitched all seven innings in the win for Grand Valley with nine strikeouts. Emma Sullivan led the Mustangs with two runs batted in. Pictured: Madison Takacs, of Grand Valley, pitches during a recent game.